Elevated between 4265 ft and 10597 ft, the Ski Resort is among the 15 highest elevated Ski Resorts in France. The vertical drop from summit to base is 6332 ft. The average difference in altitude between base and summit of Ski Resorts in France is 2848 ft. Most runs are therefore relatively long. Les 3 Vallees is the the best rated ski resort in France. 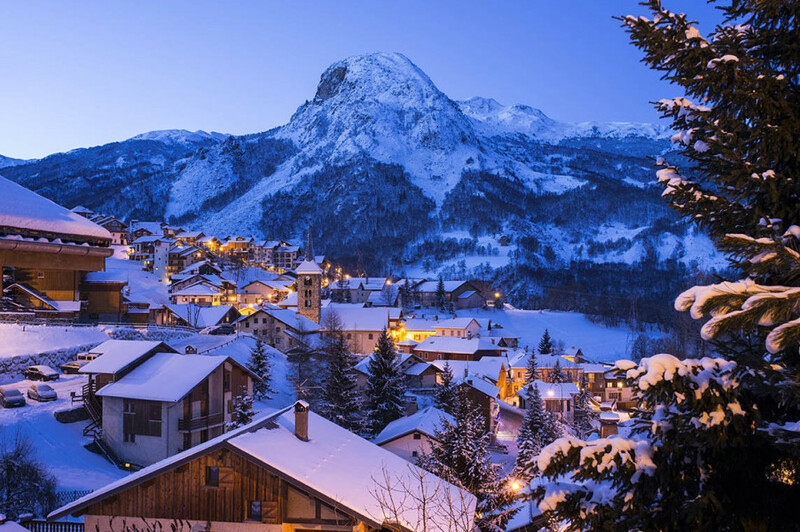 It is known to be the most family-friendly ski resort in France. Season starts on Nov 24 and ends on May 5 (162 days). Average season duration in France is 118 days. Average snow depth during the season (Nov 24 to May 5) is 70 " at summit elevation and 42 " at base elevation. Snow coverage is usually best during March, offering an average snow depth of 85 " at summit elevation and 58 " at the base. This makes Les 3 Vallees the ski resort with the best snow conditions in France. Les 3 Vallees features 69 sunny days on average per season. The average for all ski Resorts in France is 72 sunny days. April is the sunniest month with an average of 23 sunny days. 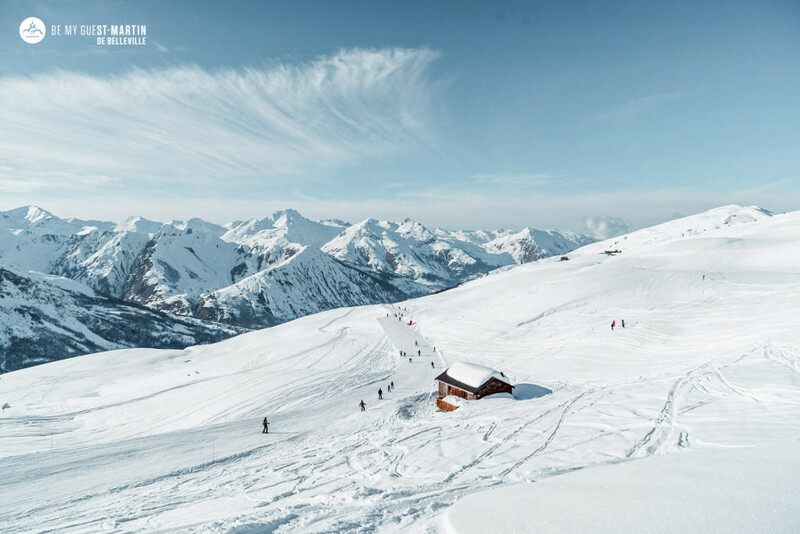 Offering 373 miles of slopes and terrain, Les 3 Vallees is the largest ski resort in France. © www.les3vallees.com Les 3 Vallées is the world's biggest ski resort. Les 3 Vallées – the name says it all! The world's largest ski resort spreads out over the three valleys called Vallée des Belleville, Vallée de Méribel and Vallée de Courchevel. With 600 kilometers of piste (373 mi) in eight different ski resorts, which are all connected by 160 ski lift facilities the possibilities seem endless! The area has 25 mountain summits as well as four glaciers. Since 85 percent of all slopes lie above 1.800 meters (5905 ft) snow is guaranteed in Les 3 Vallées. With such a large selection of slopes Les 3 Vallées has perfect pistes in all different levels of difficulty. At each base station beginners have special zones called „Zones Débutants“. All skiers are required to ski slowly and very considerately in these areas. The pistes at higher altitudes and the ones connecting the different ski areas are mostly for advanced skiers. Les 3 Vallées has beautiful diverse landscapes ranging from high alpine, through treed slopes to soft pastures. The ski resort in Vallée de Courchevel, Courchevel and La Tania are best suited for beginners and families. In Courchevel there are many different ways of reaching the slopes since the village is set up like a storied building. In France, the easier slopes are marked as blue and and green. You'll be able to find many of those in the area Courchevel-Moriond and Courchevel 1850m (6069.5 ft). The area is especially famous for beautiful forest runs. Thanks to the four separate zones especially for beginners, ski rookies can practice their skiing techniques with a little peace and quiet. Athletic skiers will mostly occupy the area around Creux and Saulire. Another fun spot for advanced skiers would be the black marked slopes in the direction of Le Praz. Freeriders will feel right at home at higher altitudes. The steep mountain slopes at Saulire have unbelievable powder snow where freeriders can let off some steam! Winter sports enthusiasts are rewarded with a breathtaking view onto the Mont Blanc and the surrounding mountain landscape! La Tania is the perfect area for families. The youngest of all the resorts at Les 3 Vallées was opened in 1990 and is situated directly in the beautiful surrounding spruce forest. The architecture is in perfect balance with the nature surrounding it. The city center is a car-free zone. Another plus would be the many practice areas around the valley. If you already feel safer you can reach more challenging slopes at Méribel and Courchevel via Col de la Loze. Advanced skiers have the best possibilities for skiing in the valley of Méribel. It is a lot tighter and steeper than the others, which you'll notice when you're on the slopes. Because the valley of Méribel lies directly between the other two, you can easily reach all the slopes of Les 3 Vallées from there. Beginners should try the area Col de la Loze with more easier slopes. The rest of the terrain consists of mostly red marked slopes, so you should already be comfortable on two boards when skiing there. There are many ski runs straight to the valley which gives advanced and professional skiers a lot to choose from. Very popular is the slope Combe du Vallon, which starts at the end of the valley at the Mont du Vallon and leads back to the valley with 1000 meters (3280 ft) difference in altitude. This slope is so famous because it doesn't cross any other piste the whole way back to the valley. Another fun slope would be Mauduit, which provides wonderful panoramic views and starts at the Saulire. Part of the valley is also Brides le Bains, which is connected to Méribel through a gondola. Apart from being a great location for skiing and other winter sport activities, Brides le Bains is also known to be a great spa and health resort. The third of the three valleys is called Vallée des Belleville and starts first into the ski season. In Val Thorens they open the lifts starting November thanks to the glacier. In addition the valley is very sunny and also very broad and open. At the beginning of the valley you'll find the slopes of Saint Martin de Belleville which lead in the direction of Cherferie. The selection of slopes is manageable and not too overwhelming for beginners. Furthermore winter sport enthusiasts can reach the rest of the slopes from Les 3 Vallées from here also. A little further down in the valley you'll find the area of Les Menuires, which has a great selection of diverse slopes. Beginners have short practice terrain there. The area of La Masse is also perfect for those first tries and especially popular among families. But also for more advanced skiers the journey to Vallée des Belleville is definitely worth it. From Pointe de la Masse at 2.804 meters (9199 ft) you have a view over all three valleys. From this summit there are numerous difficult slopes available for professional skiers. The black marked slope Léo Lacroix is definitely recommended for professional skiers, which starts at Col de la Chambre. Val Thorens is the perfect place for athletic and professional skiers and boarders. Six glaciers and six mountain summits over 3.000 meters (9842.5 ft) high provide the ultimate selection of slopes. These pistes are not just a fun challenge but they are really long so you can enjoy skiing fun all the way down the mountain. Very popular would be the long descends from the Glacier de Peclet. The area Cime de Caron has, apart from the beautiful black marked slopes called Combe de Caron and Cristeaux, an astounding panoramic view of more than 100 summits of the French, Swiss and Italian Alps. You can also get access to the slopes from Orelle, which isn't directly in the valley but is connected to Les 3 Vallées through lift facilities. The 3 Vallées Express takes winter sport enthusiasts up the mountain where lots of blue and red marked pistes await them. Another great area is Col de Rosaël at the traverse to Val Thorens. More than 50 mountain huts are spread out over the entire ski resort. No one will leave hungry and there is something for all the different tastes. 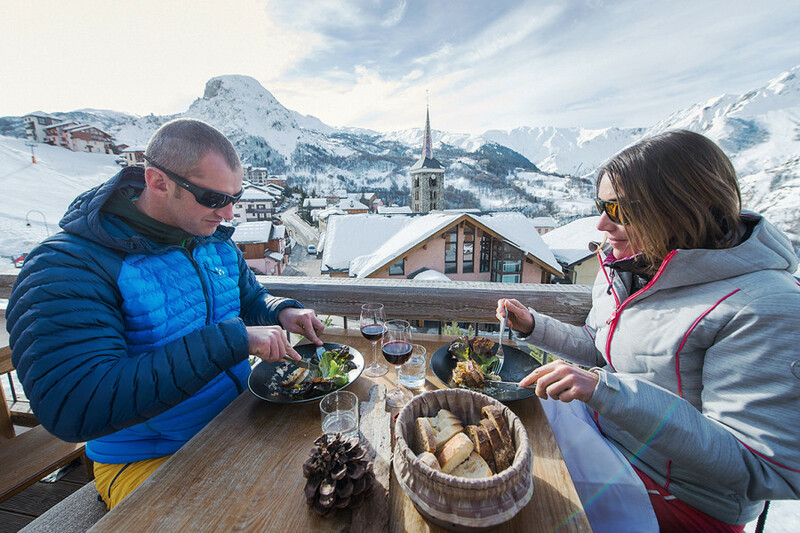 Ten Ski-in-Ski-out restaurants were awarded Michelin stars, for example Le Chabichou in Courchevel, the La Bouitte in St. Martin de Belleville or the Le Farçon in La Tania. If you're not a big fan of eating and are eager to get back on the slopes you should try one of the many self-serve restaurants in the resort. At Rosaël you'll find the Chinal Donat, which has a large terrace for enjoying your food and some fresh air. The Chalet de Caron in Val Thorens and the Les Verdons in Courchevel 1850 offer a delicious and diverse menu. For a break during skiing we recommend stopping by one of the mountain huts and restaurants on and around the slopes. The Bouc Blanc next to the Tania gondola has a great menu, which you can enjoy on a nice large terrace with a terrific view. In Méribel there is a restaurant called Le Coeur de Cristal which provides scrumptious food and wine within a modern atmosphere. Regional specialties and a fantastic view onto the Péclet-Polset glacier awaits at Chez Pépé Nicolas which is located between Les Menuires and Val Thorens. With more than 300 pistes the resort Les 3 Vallées has countless highlights. Skiers who enjoy skiing for the fun of it should try the slope La Masse in Les Menuires. Another piste you definitely need to try is Combe du Vallon which leads back to Méribel with 1000 meters (3280 ft) difference in altitude and without crossing any other piste the whole way back to the valley. More athletic skiers should try the Olympia slope Roc de Fer, the black marked slope leading back to Le Praz or the pistes Combe de Caron and Cristaux in Val Thorens. In Vallée de Courchevel visitors can enjoy the snowy landscape of La Tania on four different hiking trails. Down in the valley of Courchevel you can join in on a little more action while ice climbing, participating in a segway tour or renting a snowmobile. In Méribel there are hiking trails as well but with a little twist. You can acquire a horse, a dog sleigh or a snowmobile to discover the winter wonderland in a way that suits you best! Thanks to Brides-les-Bains wellness lovers will feel right at home in Vallée de Méribel. At the Le Grand Spa des Alpes®, with a size of 2.100m² (0.21 hectares), tired and exhausted muscles can regenerate here with a nice massage, a steam bath or in the jacuzzi. The Le Grand Spa des Alpes® is one of the few spa facilities in France which has a thermal spring. In Vallée des Belleville toboggan fans have tons of tracks to try out. There is a toboggan run called Roc'n Bob with a length of four kilometers (2.4 mi) and a rail toboggan run called Speed Mountain with a length of one kilometer (0.6 mi). Top tip: the longest toboggan run in France is available for you here! The track is more than six kilometers (3.6 mi) long and leads you starting at 3.000 meters (9842,5 ft) past the glacier Péclet back to Val Thorens. Adrenaline junkies need to try the Zip-line between Orelle and Val Thorens. The fast-paced and action-packed ride begins at the highest point in Les 3 Vallées at 3.230 meters (10597 ft) which makes it the highest Zip-line in the world! 250 meters (820 ft) above the ground the Zip-line will take you back to Val Thorens. If you've had enough action you can relax and regenerate at the wellness pools in Val Thorens and Les Menuires. Party people in Courchevel are found at Les Caves, which has been providing the perfect partying atmosphere for more than 20 years. In La Tania you meet up for a night out at the Chrome Bar or at La Taïga. In Méribel a place called La Folie Douce is very popular. You'll find it a the intermediate station of the Saulire Express. The Rond Point in the center of Méribel provides live music. At the bar Le Pub the party continues until late at night! In Val Thorens there is also a La Folie Douce. It is located at a height of 2.600 meters (8530 ft) and is known to be the highest Open-Air-Club in Europe. The valley itself has more than 40 bars so Val Thorens is definitely the place to be for a fun Après Ski experience. Gourmets will definitely feel at home in Courchevel. There are seven restaurants awarded with Michelin stars,for example the Le Kintessence which provides delicious international cuisine, the Azimut which has an extraordinary wine selection and the Le Chabichou. The gourmet chef of the Le Farçon in La Tania has a very special treat for visitors. They offer different menus for men, women and children – so everyone has an exclusive selection to choose from! If you like sushi stop by the restaurant Grandes Alpes. In Méribel gourmets need to try the dishes at Le Grand Coeur prepared by the chef Marc Dach. At the restaurant Chez Kiki you'll enjoy delicious specialties directly from the grill and cooked over open fire! The Le Yeti provides traditional cuisine of the region. The Le Jardin de Joséphine in Saint Martin de Belleville serves its guest mostly local produce and an extraordinary atmosphere comparable to a gazebo. In Les Menuires at the restaurant La Bouitte the food is awarded two Michelin stars! The cuisine here is a fun and favorable combination of the traditions of the regional cuisine and a modern twist. Delicious fondue can be found at Joyeuse Fondue in Val Thorens. Starting in Grenoble take the A41 until you reach the exit A43/E70 in the direction Turin/Albertville/Milan. Continue on the N90 until you reach Moûtiers. From there just follow the signs into the particular village. If you want to get to Orelle, exit the A43 at Col du Galobier. Follow the road until you reach Saint Michel-de-Maurienne. The D1006 will take you directly to Orelle from there. There is a really good train connection to the resort. TGV services will take you directly to Albertville or Moûtiers. From there you can simply take shuttle buses to the resorts. Besides the airport in Chambéry visitors who travel by plain can also journey to Lyon, Geneva or Grenoble.